A “stop vivisection” initiative is petitioning the European Union to stop all animal experiments in research. 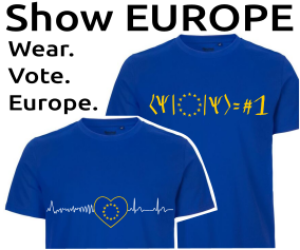 The European Citizen’s Initiative stacked up over one million signatures and was submitted to the European Parliament in early March 2015. It is highly implausible that it will succeed. However, petition organisers describe the effort as a democratic exercise with the potential to change EU legislation on grounds of ethics and solid science. The move has triggered a strong response from the science community. Yet, some anticipate there could be a third way of dealing with such issues, with greater citizen engagement. And there has been some emerging evidence and reports that sometimes animals like mice are not good enough for studying certain human disease. Menache points to an array of alternatives such as 3D human tissue culture and organ culture: human cells grown in labs. He criticises Europe’s lack of progress in developing alternatives to animal experiments and at the alleged tardiness of the European lab, called EURL-ECVAM, in charge of approving such alternatives. The petition urges the European Commission to throw out directive 2010/63/EU on the protection of animals used for scientific purposes and to present a new proposal that does away with animal experimentation. Vivisection detractors say that the petition is an initial skirmish that may mark a long running campaign to revise this existing legislation, which is due for renewal in 2017. The League of European Research Universities (LERU) has come out strongly against the petition, arguing that animal research remains fundamental to understanding and treating human disease. They also say that it would effectively push scientific talent out of Europe . “If we let only scientists on the other side of the Atlantic [carry out such research], we will lose our international positions,” notes Bruno Podesser, director of the department for biomedical research at the Medical University of Vienna, Austria, one signatory to the LERU statement. Italy stands out as a torchbearer for petition supporters, with 700,000 Italian signatures. “Italian society has been galvanised,” says Menache, and citizens there have been properly informed of the science. He adds that communication remains the challenge: how do you convey a complex scientific message to the public? The legal arguments will not stand up, given the current legal meaning of article 13 of the Lisbon Treaty, according to Mariachiara Tallacchini, professor of legal philosophy at the Sacred Heart Catholic University, UCSC, in Milan, Italy, who is unimpressed by the petition. She believes that “it is more of a political move than a legal move in order to promote animal rights.” The Article allows animal welfare to be superceded not only by the law, but all administrative rules and customers related to religious rites and cultural traditions. She therefore doubts whether it is powerful enough to abolish animal experimentation. The centrality of communication is something Kirk Leech, executive director at the European Animal Research Association, agrees with Menache on, though not much else. Animals play a role in developing life-saving therapy and the vast majority of Nobel Prizes awarded for Physiology or Medicine dependent on research using animals, he says. “You cannot give a computer a cough and cells do not sneeze. Science has not developed a credible alternative to replace the use of animals in research.” His organisation was set up last year to improve the European public acceptance and understanding of the need for animal research and to lobby decision makers in Europe. Where Menache sees an education and communication triumph in Italy and Germany, Leech sees a communication failure. His association aims to set up advocacy organisations in such countries (where there are none). “Two countries stand out: Italy and Germany,” says Leech. “There is no national organisation in these countries to challenge the message of activists.” Italy accounts for 700,000 and Germany 160,000 plus of the one million signatures. He points to the example of Understanding Animal Research in the UK, which advocates a policy of open dialogue by those carrying out animal research. Leech says it is about the animal research sector being more open, publishing statistics and having informative websites and allowing facilities to be visited. To place things into perspective, it is helpful to draw a comparison between practices in the UK, Germany and Italy. Of UK medical research charities, 30 to 40% have a web statement saying some money goes to fund animal research; no such statement exists for German charities. In the UK, 80% of universities carrying out animal research have statements; in Germany this figure is 11%. In Italy, just 3% of patient groups or medical charities and 16% of universities, according to research by the European Animal Research Organisation. In this debate, there are also scientists who argue for renewed focus on better use of animals in research. Malcolm Macleod, neuroscientist at the University of Edinburgh, UK, says scientists need to think hard about whether animal research should be done to answer a particular question and what numbers should be involved. “Seeking permission for fewer animals than needed to answer a question with sufficient robustness can be a problem,” he explains, as getting approval for animal experiments can be more difficult in some jurisdictions than for human research. “And the experiment should be designed and executed in such a way that will maximise information that will come out of it.” UK funders recently set out updated guidelines to improve robustness of such research and ensure animal lives are not being wasted. Results should be published so they are not needlessly repeated, Macleod adds. He has been part of a group arguing for better experiment design and for the ARRIVE reporting standards to be followed. These aim to maximise information published and minimise unnecessary studies. Issues of small sample sizes were also highlighted in a recent Nature editorial, noting that funders and researchers have a responsibility to ensure that the power of an animal experiment suits its purpose. Incidentally, the UK has seen debate and public engagement about the topic, far more than in France, Spain, Germany and Italy; this followed some serious incidents involving UK research facilities and Huntingdon Life Sciences. “In other countries, the debate has not really happened to the same extent; Italy is an example. When there was rapid growth in campaigning activities, the researchers were left flat footed because they had not engaged with the public. But they have begun to do so now,” according to Macleod. Tallacchini is critical of the polarising arguments “the debate” itself revolves around. She does not heap all blame on activists by any means. There “is still this attitude [held by researchers] that they shouldn’t be challenged and shouldn’t be questioned, as if this is some kind of private domain,” she says. In addition, “I would like to see more questioning of the design of experiments and results and more discussion about the quality of the science using animals,” she points out. She also notes that a high percentage of experiments cannot be replicated, as John Ioannidis professor of health research and policy, at Stanford University, Connecticut, USA, reported recently in PLoS Medicine (and previously as well). Italian animal rights activists got a publicity boon when beagle puppies were freed from a facility. Many researchers say Italy has not seen a proper reasoned debate. Whether an informed debate can break out in countries such as Italy and Germany, one that rises above yes or no to animal experimentation, remains to be seen: any debate is as likely to be fought on an emotive as a cerebral level. Meanwhile, industry and the Commission say they continue to work for alternatives to animal testing though critics charge that not enough funding is channelled into that kind of research. Do you think that valid alternatives to vivisection exist? Previous PostPoetry and science: A Small Boy Wonders…Next PostIs Europe to enjoy science advice or camel design? There seem to be a lot of human rats about.